I grew up with WGN-TV, watching Chicago news, cheering on the Chicago Cubs and enjoying movies filmed in the windy city. My dad has great stories of his visit and I have many Belizean friends living there now. Why hadn’t I visited any earlier? I don’t know, just been busy traveling Belize I guess. 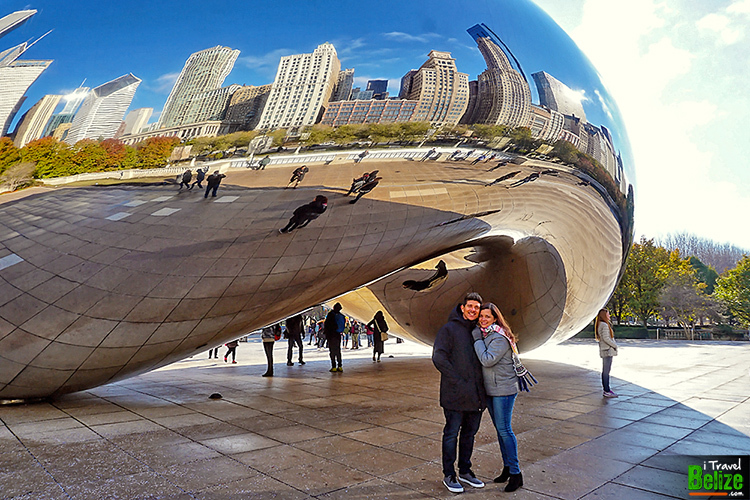 Hello Chicago! I have always wanted to visit you but thanks to United Airlines, I finally made it. 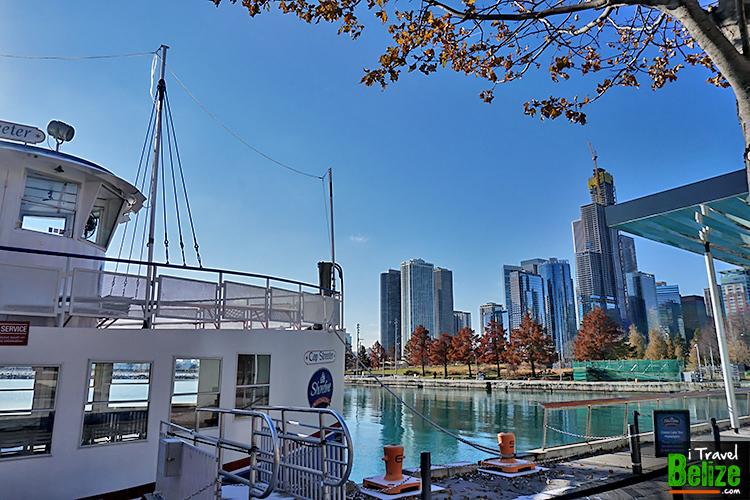 The airline has been connecting Belize to the Windy City via connections in Houston and since 2014 offering seasonal direct flights, but only on Saturdays. 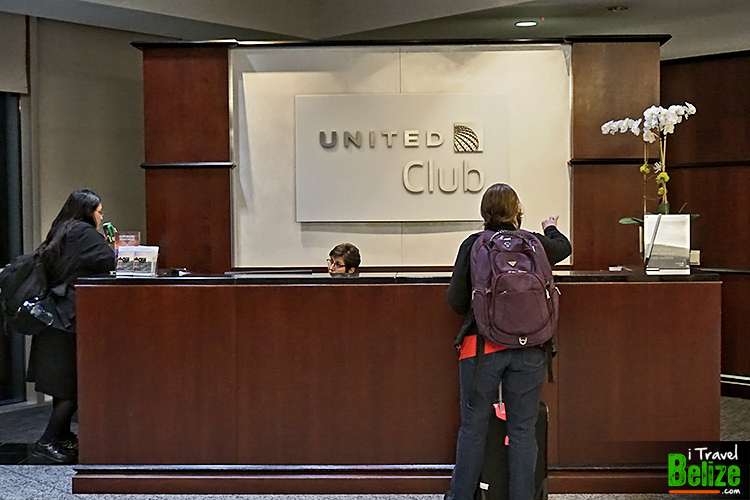 This year United’s DAILY service to Chicago commences December 19, 2018 and runs through to March 16, 2019. 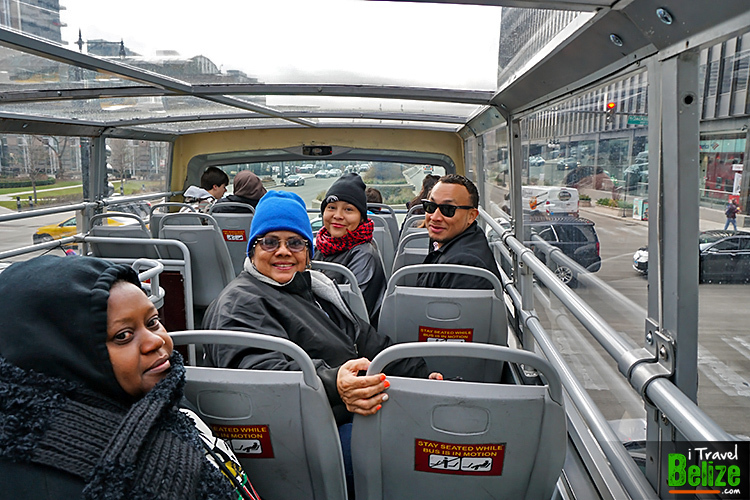 We went on a whirlwind, two-day tour of the major tourist attractions and made new friends along the way. 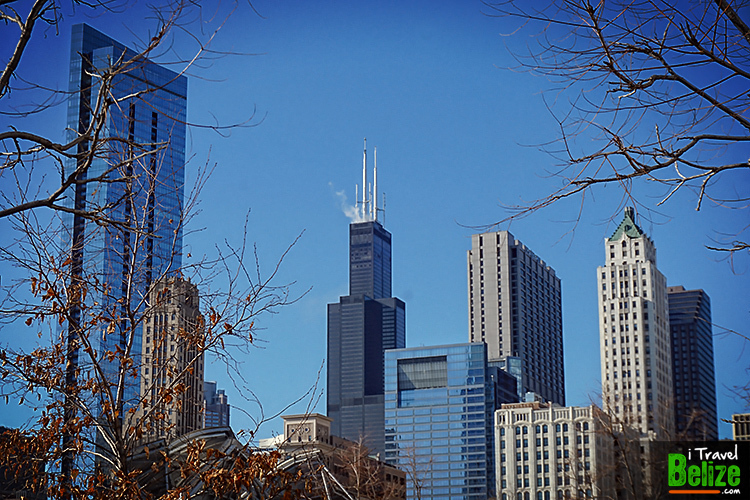 Chicago is a great city with lots of history and old architecture mixed in with new modern skyscrapers. 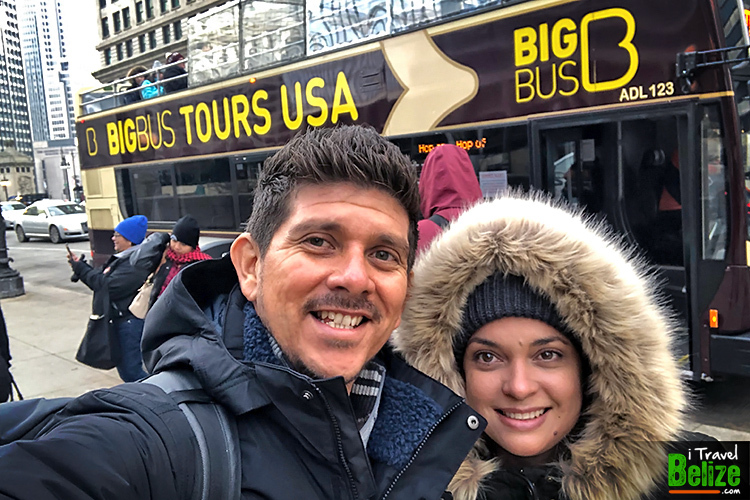 The little we got to experience was enough to encourage us to plan a second visit soon with more time to enjoy the city. 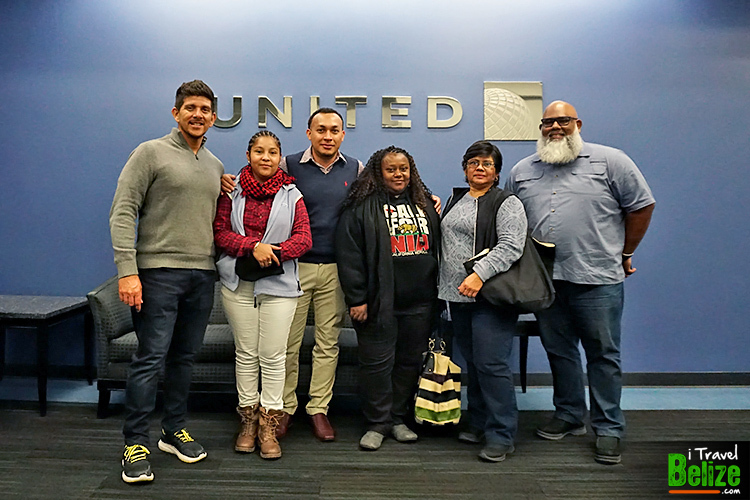 United Airlines’ connection gives the opportunity for Chicagoans (and Belizeans living there) to get away from the winter cold and enjoy the warm Belizean holidays. Belizeans are not used to the cold, but I know there are many of us wanting to experience a white holiday season. 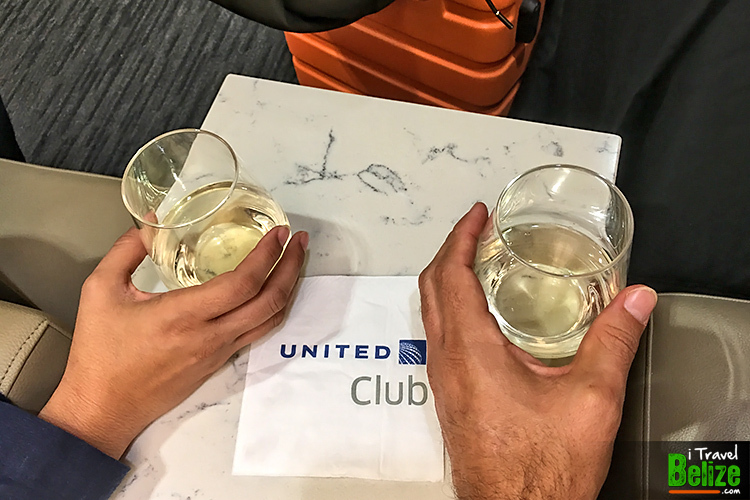 The perks of flying United – Economy Plus Seats, United Club lounge benefits and long-standing excellence in service and safety. 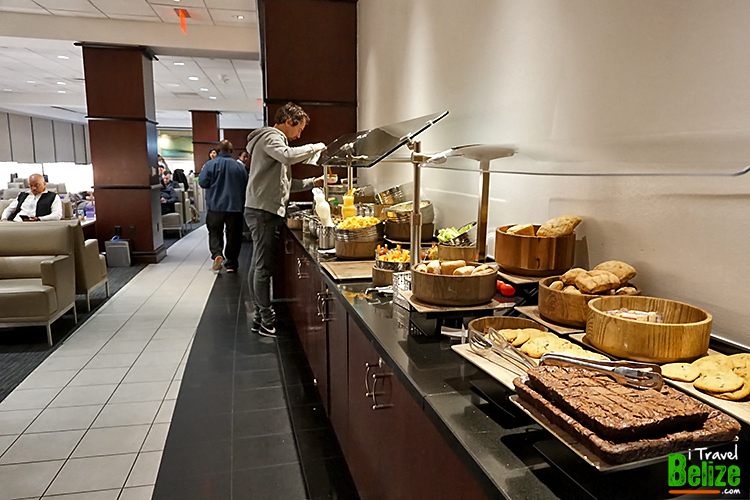 At the United Club lounge in Houston, George Bush Intercontinental Airport waiting for our connecting flight to Chicago, O’Hare International Airport. 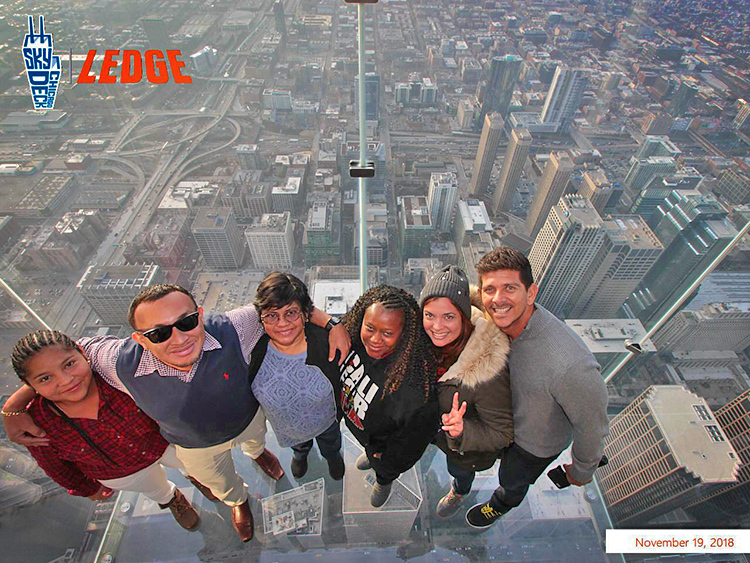 We did like most tourists and walked on a glass floor 103 stories above the city at the Sky Deck at the Willis Towers. 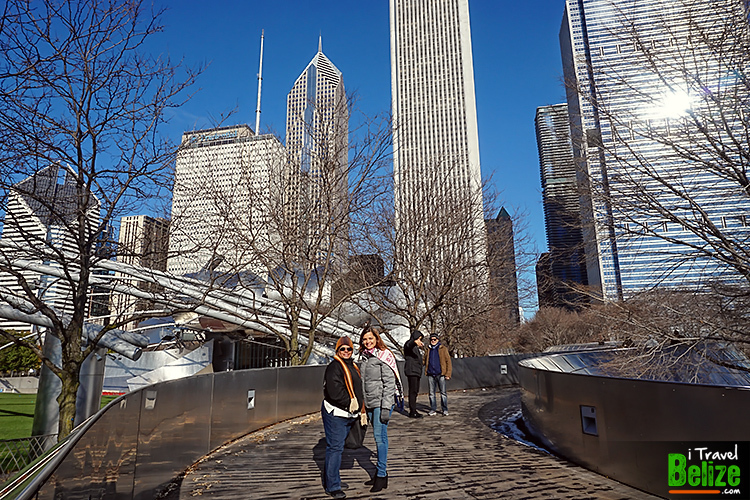 Plus, we experienced a second exhilarating rush up in the skies at the John Hancock 360 Observatory. 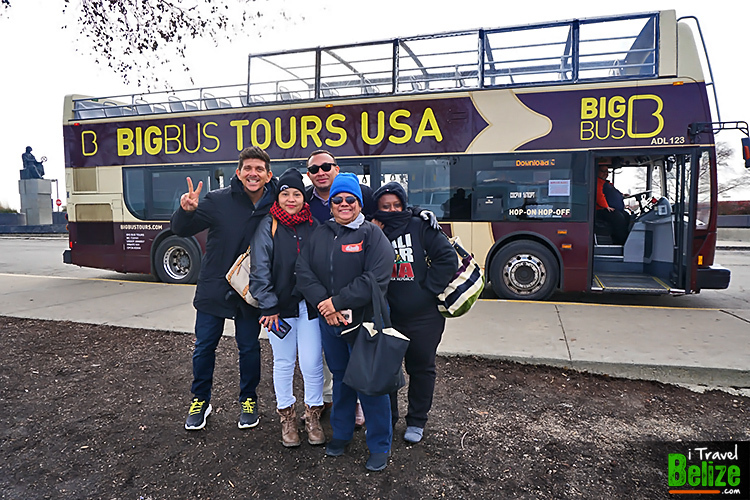 The Big Bus Tour of the Magnificent Mile was an great way to learn about the history of the city and sightseeing high above in the Centennial Wheel at the Navy Pier was superb. 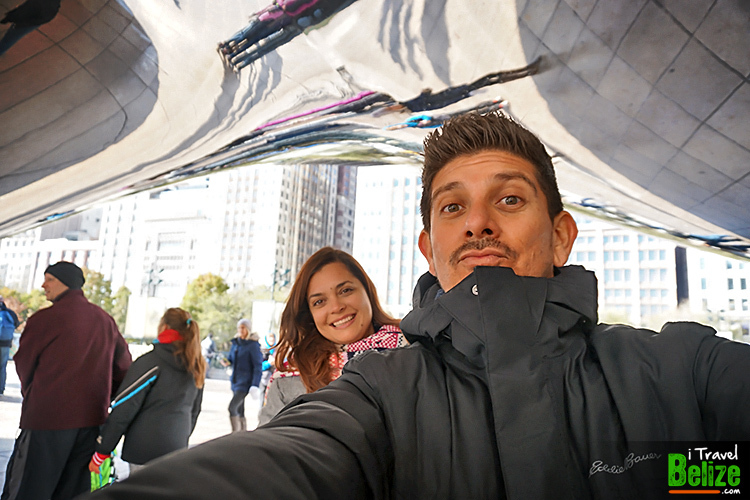 We could not leave before taking our compulsory selfie at the famous Chicago Bean and enjoying a pleasant walk through Millennium Park. 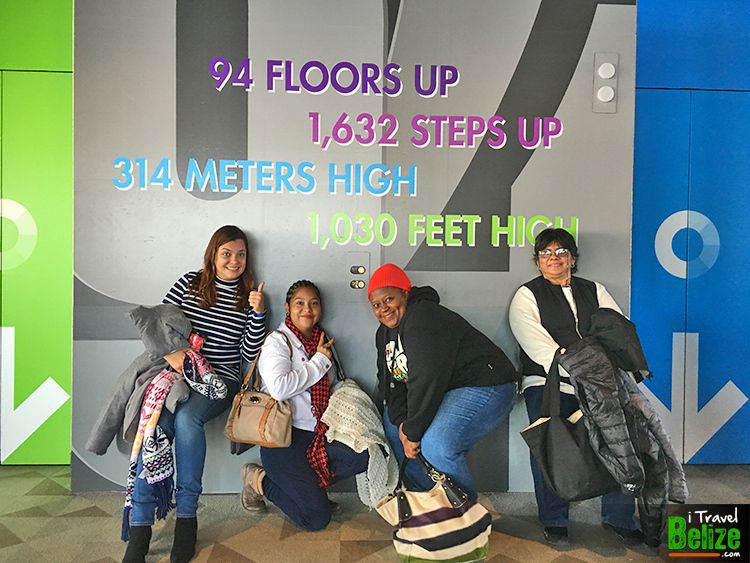 A highlight of our trip was a tour of United Airlines’ Network Operations at the Willis Tower. It is the nerve of the airline and their day-to-day operations, occupying about 20 floors of the high rise. You name it, everything happens here. It’s an impressive operation that gives you the real perspective of all what it takes behind the scenes for us to enjoy a safe flight. 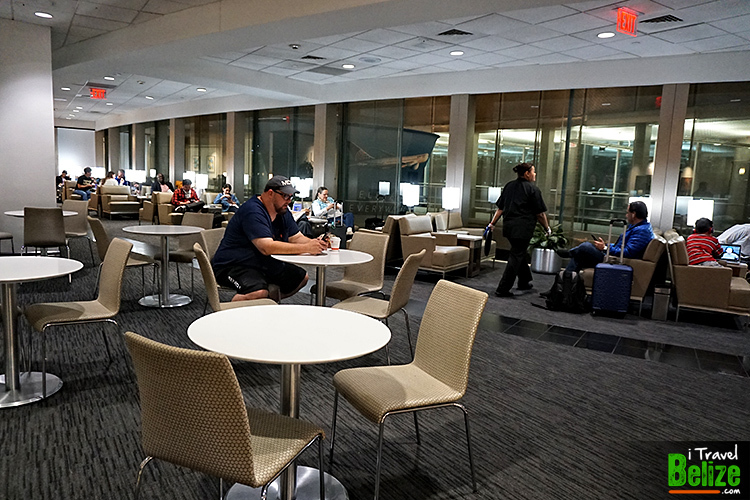 United Airlines and United Express ‘only’ average 5,656 flights a day to 376 airports on six continents! WOW! 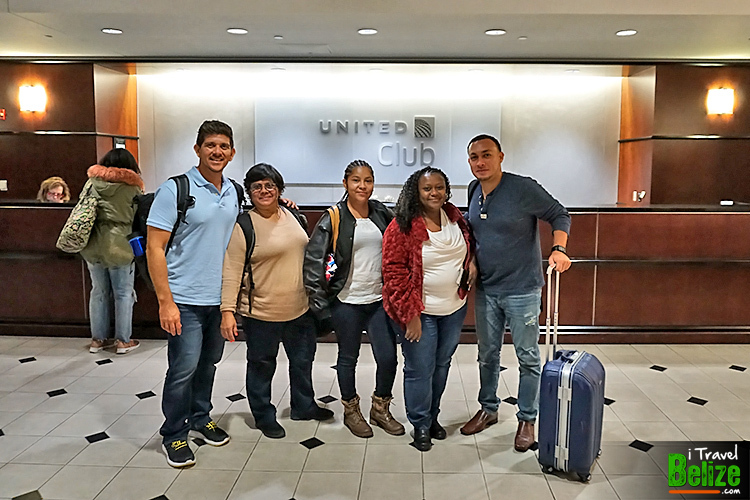 Group shot at United Airlines’ Network Operations at the Willis Tower, Chicago. 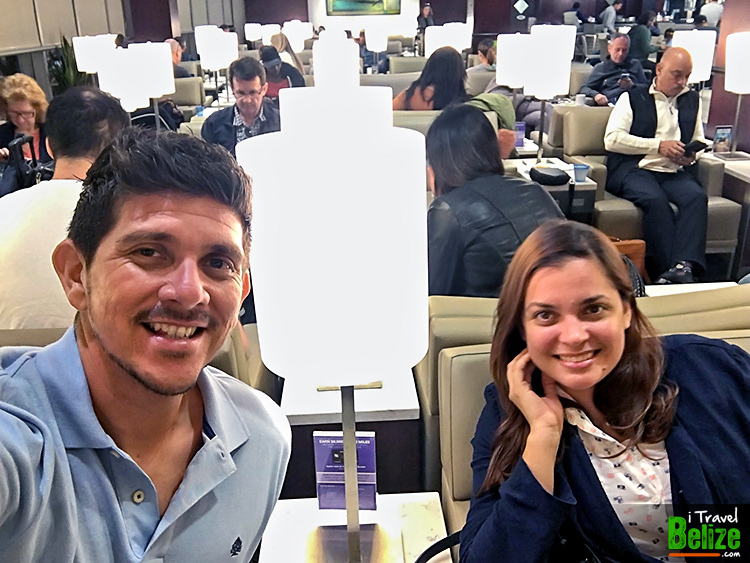 This year we were blessed to travel abroad and get to know two new cities. First was Bahrain in the Persian Golf to witness the Belize Barrier Reef get removed for the World Heritage in Danger List. 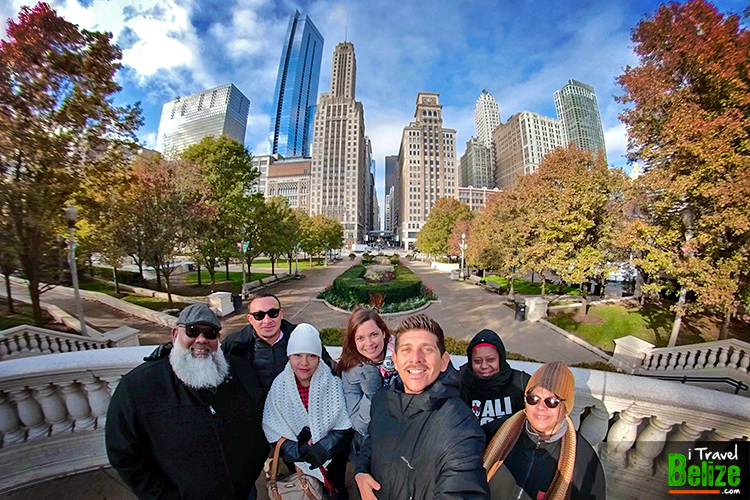 The second has been this exciting and fun trip to the Windy City during the holiday season. Both times United connecting us to the world abroad. I can’t wait to see where we go next! The daily service commences December 19, 2018 and runs through to March 16, 2019. 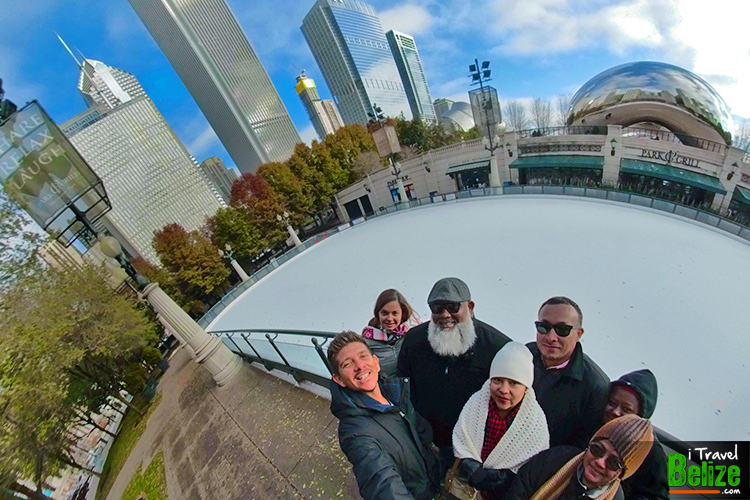 Chicago and Houston are international hubs to connect anywhere in the world! High above Chicago in the second tallest skyscraper in the United States. 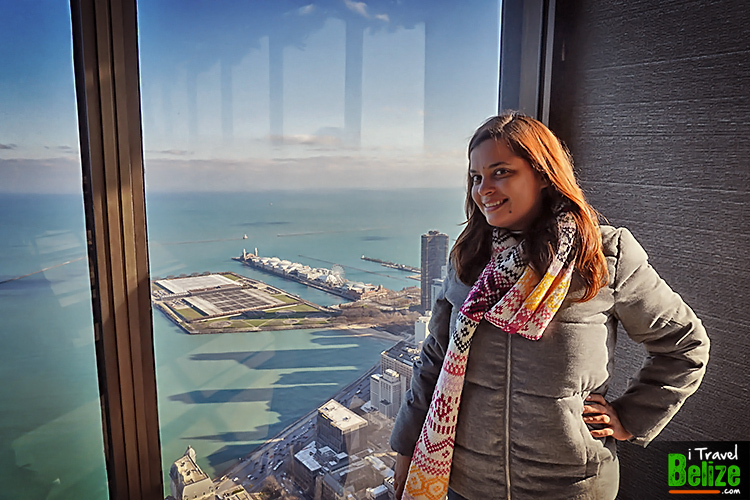 We experienced the Sky Deck at Willis Towers. 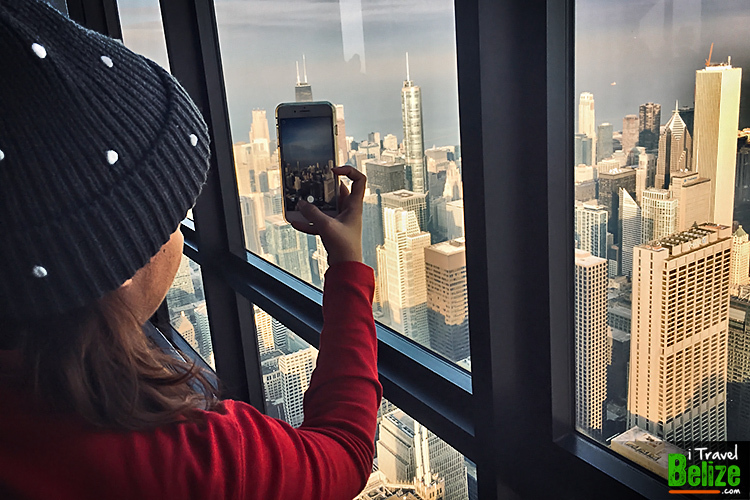 More than one million people visit its observation deck each year, making it one of Chicago’s most-popular tourist destinations. 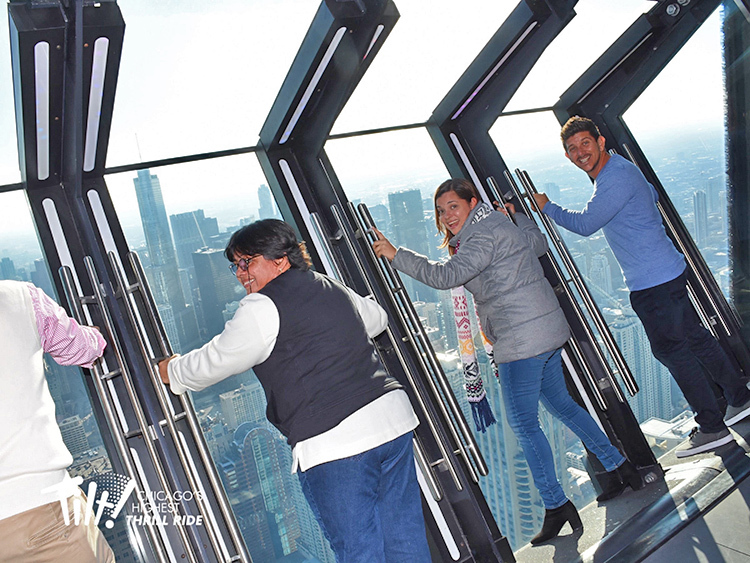 More fantastic views of the city on the 94th floors at the John Hancock Center and an exhilarating TILT experience. 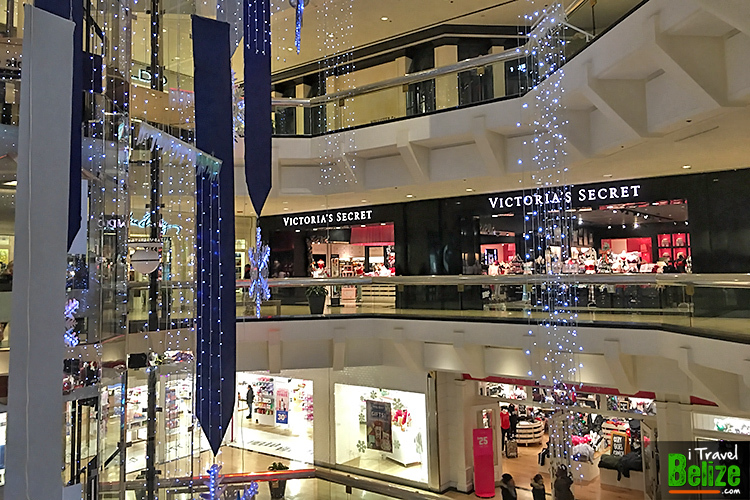 Shopping is made easy in Chicago with many shopping malls and retail stores that are conveniently and centrally located in downtown Chicago. 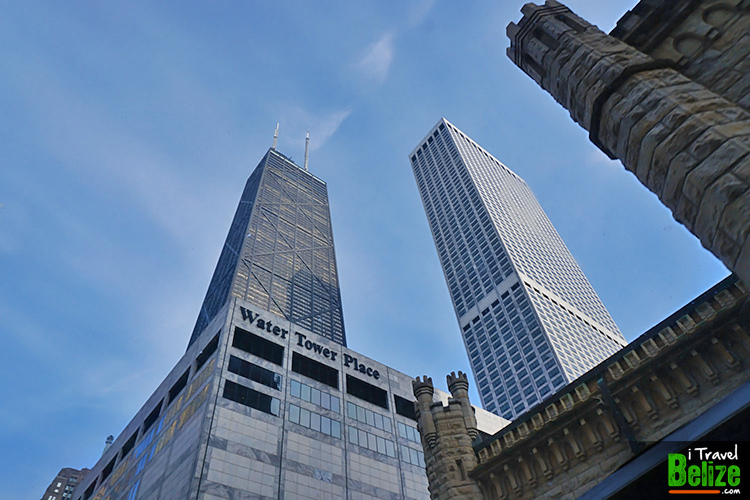 Water Tower Place is a Chicago landmark on the Magnificent Mile and renowned for its vast selection of over 100 stores. 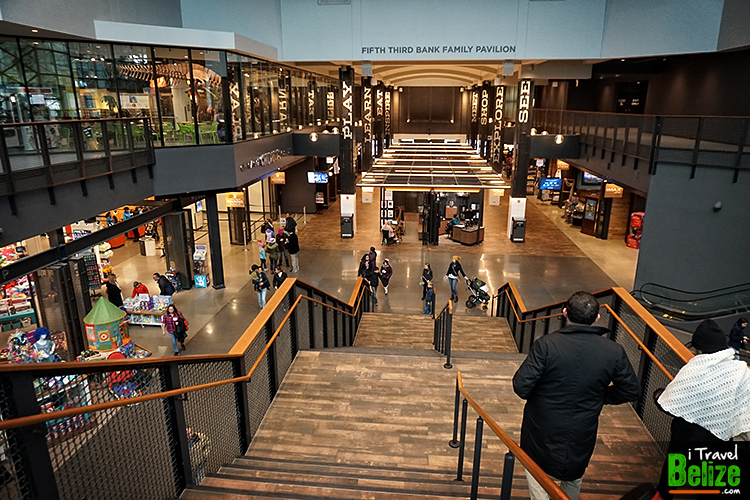 Beyond shopping, the eight story mall also houses a number of restaurants and entertainment options, including a live theater. 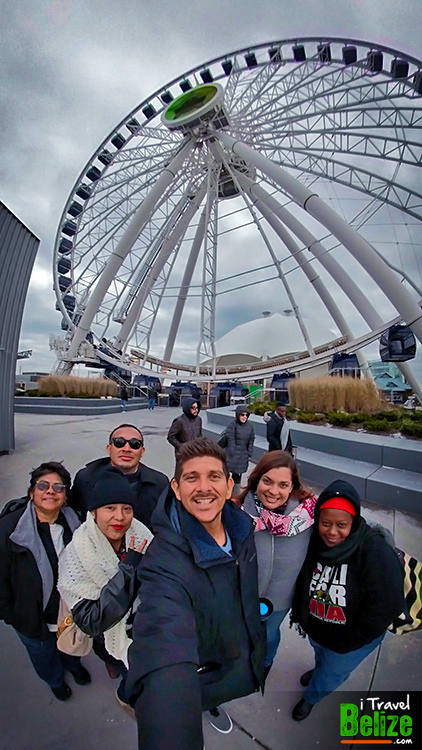 Shopping experience at Navy Pier. This is Sooo Beautiful i know i will be there one of this day Because My God Will let me be there.